A spring blizzard laid across Moray's lung, Dava moor, an open expanse of moorland that strides out towards the Cairngorms. 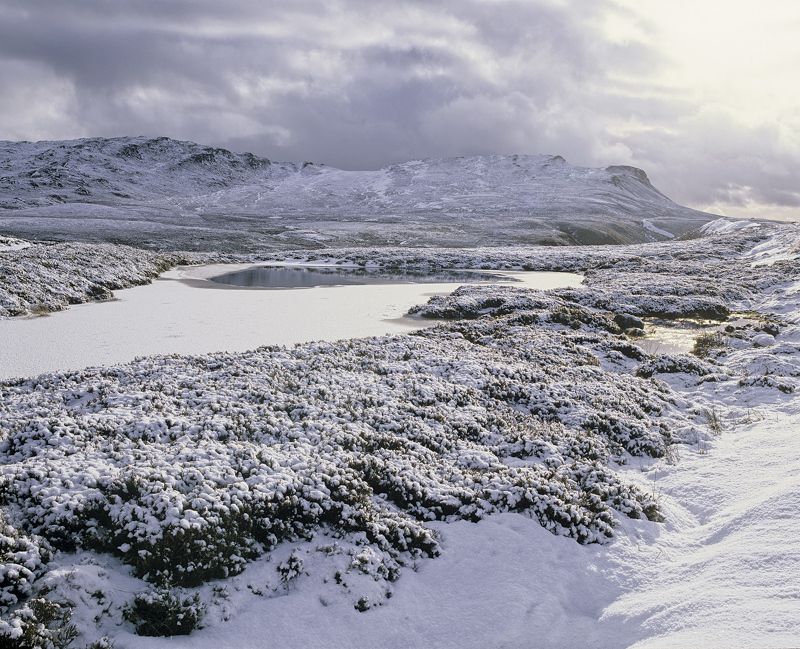 This beautiful wild and bleak region on Moray's doorstep is a glorious wilderness, until now. Unbelievably it is going to house several 400m wind turbines with a net visibility in excess of twenty miles, it makes you want to cry. These monuments to mankinds stupidity are inefficient, unsightly and the government is already backtracking on the need to produce them but sadly the manufacturing inertia of these colossal follies has yet to peter out.